Joon, the world’s first airline aimed at millennials, is to be wound up by its parent company after failing to capture the imagination of young travellers. 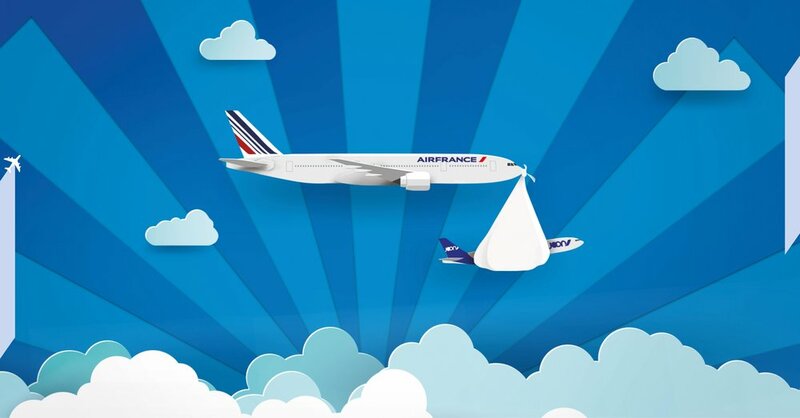 Air France launched the carrier in 2017, selling it as the airline of choice for a “young and connected clientele” and hoping its VR-headset entertainment, trendy cabin crew and quinoa-strong menu would attract a generation of footloose globetrotters. But after just over a year in operation, Air France, the French flag carrier, has announced the end of Joon’s short life. “After much discussion with employees and customers alike, and in consultation with the unions, Air France has decided to launch a project studying the future of the Joon brand and the integration of Joon employees and aircraft into Air France,” the airline said in a statement, adding that despite some positives, “the brand was difficult to understand from the outset for customers, for employees, for markets and for investors”. It said that the presence of Joon has “weakened the power of the Air France brand”. All Joon flights currently sold or for sale will be honoured, either by the carrier itself or by Air France. Flying from its hub at Paris Charles de Gaulle, Joon served a number of European cities including Lisbon and Berlin, as well as long-haul destinations such as the Seychelles, Cape Town and Fortaleza, Brazil. Fares were comparable with low-cost airlines, with short-haul seats from £34 and one-way tickets to Brazil from £218. Travel’s Annabel Fenwick Elliott reviewed Joon last year and was generally impressed. “My fellow passengers were noticeably younger than your average cabin sample set,” she said. “No babies (that I could spot), a snogging French couple in the row in front of me, and a lot of lone travellers. She praised the menu options, which included organic wines, mini tapas boards and quinoa salads, and said the VR headsets were a novel in-flight entertainment. Joon’s demise follows the failure of fellow low-cost, long-haul airline Primera last year, while Wow air, which offers transatlantic flights via Iceland, has also found itself struggling and scrapped a number of routes.